Istanbul-dan En - pierrekrachts Webseite! 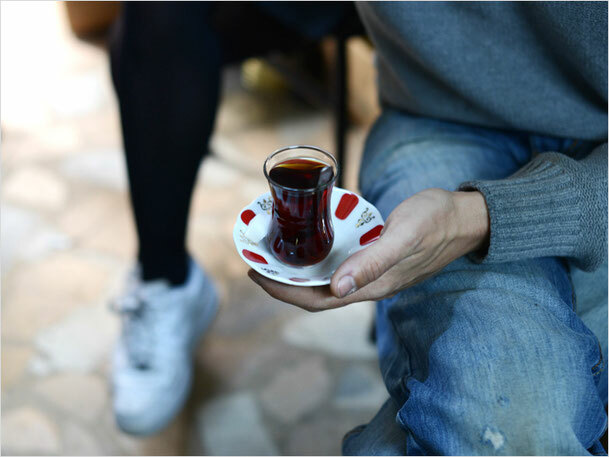 The designers that are part of the collective ISTANBUL’DAN travel to the Turkish metropolis on a regular basis. Fascinated by the entire city and its special neighborhoods thriving with arts and crafts, they have decided to cooperate with artisans from two of Istanbul’s historic areas, Sishane and Galata, to create products. The results seek out the possibilities offered by the production techniques and structures at hand. They interpret the city’s topics and tell stories. In tiny workshops, solutions are developed with simple tools and plenty of improvisation. The artisans work together in a tightly woven net, making almost anything possible through mutual support.